University is one of the best times of your life and you have worked very hard, so you deserve to have a great time. Why not celebrate with your family with a nice meal in The Bridge or head over to The Shop on Top to browse the market stalls for a University branded souvenir? However you choose to spend your day, on behalf of everyone at the Union, we hope it’s a good one! 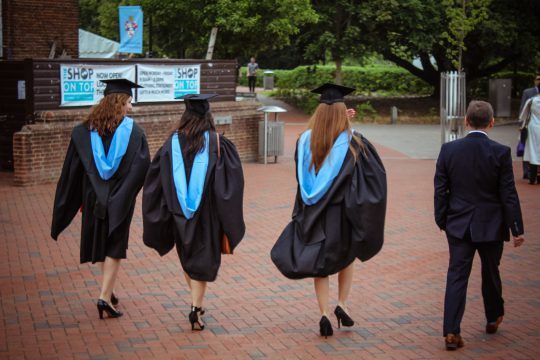 We will be taking photos for each graduation day and posting them on our Union Southampton Facebook page, so look out for us and make sure that you get one.